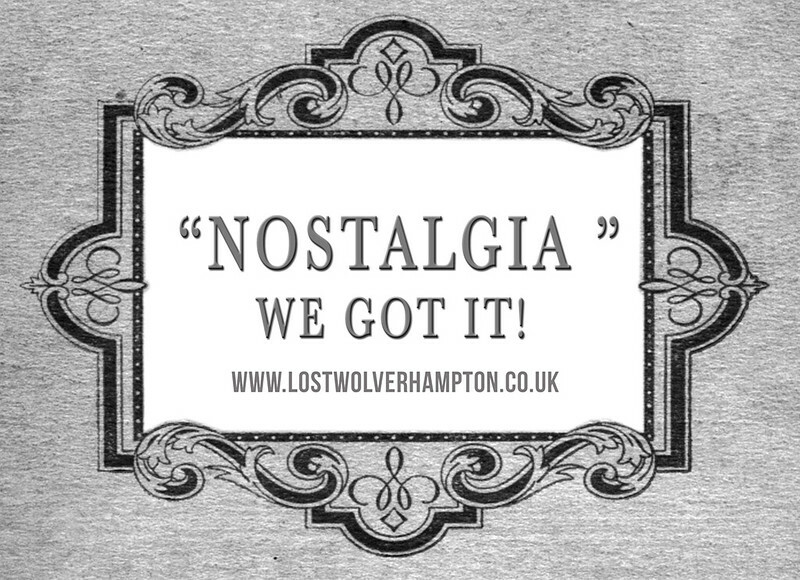 Frontpage › Forum › People & Places of Wolverhampton › "NOSTALGIA " We Have it. This topic contains 15 replies, has 2 voices, and was last updated by Billy 3 years, 1 month ago. David Davies third from left on the front row, with younger brother Gordon far right back row. Gordon went on to play professional for Wellington F.C.early 1960’s. I hope there is some one who can put names on to the other players. Shows Saranne Thomas second left front row with family and relations. 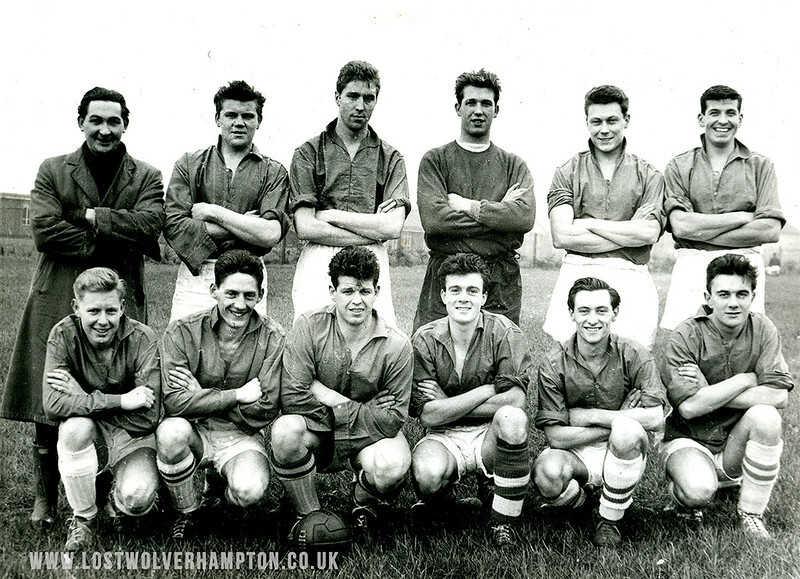 Tony Hodson is pictured second from the right back row his father Bernard is peeping over his shoulder. 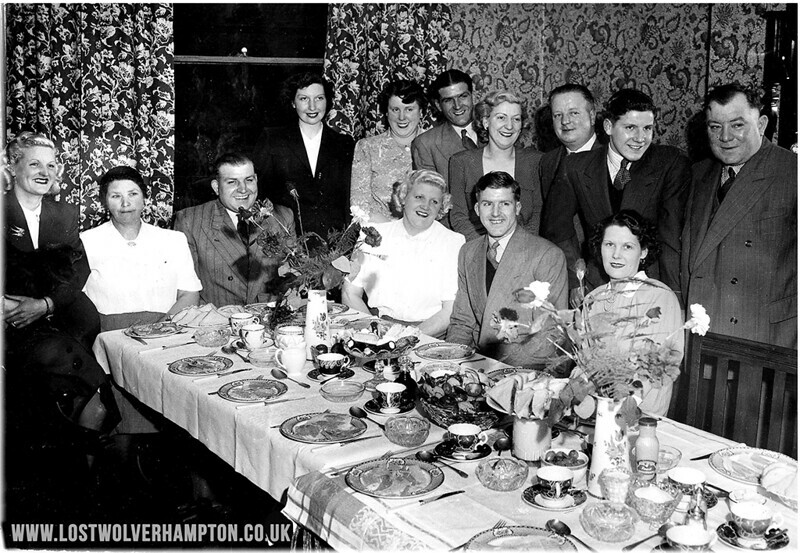 I have more information on this evocative photo if you wish to enquire. The new Gas Showrooms pictured during the war, on the junction of Darlington Street and Waterloo Road. Most facebook users would now have to be over 50 to remember it as thus. There may be one or two that can recall the Store that replaced it in the late 1960’s. Can You. Hello Ray thanks for getting in touch. Nice photo isn’t it. Gordon and Dave Davies are related to me through marriage. they are both still active although knocking on 80. I wonder about the other Whitmore Reans Lads.I hope someone has some information regarding them. There has been a lot of interest shown over the last few years regarding Heath Town Baths in this weeks E & S someone even referred to it as The Jewel in the Crown of Heath Town. 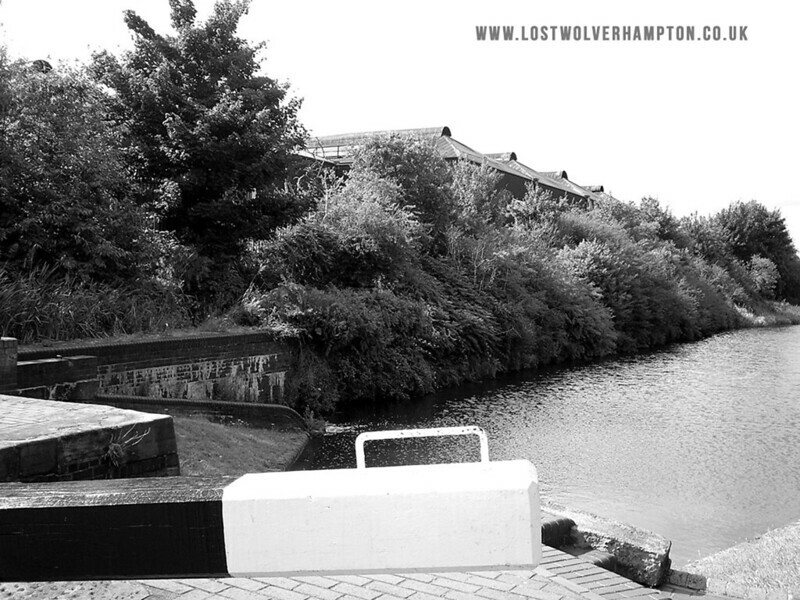 Well us kids from around Faulkland street born before the war couldn’t afford the luxury of a swim in Heath Town baths, our summer Lido was here in the basin between No 2and 3 Locks of Littles Lane. I learnt to swim here in 1947 The back drop then wasn’t Carvers seen here, but the Great Western Goods Yard. I saw on Facebook today someone had posted a picture of the Gaumont Picture house on Snow Hill at the time of its demolition in 1973. 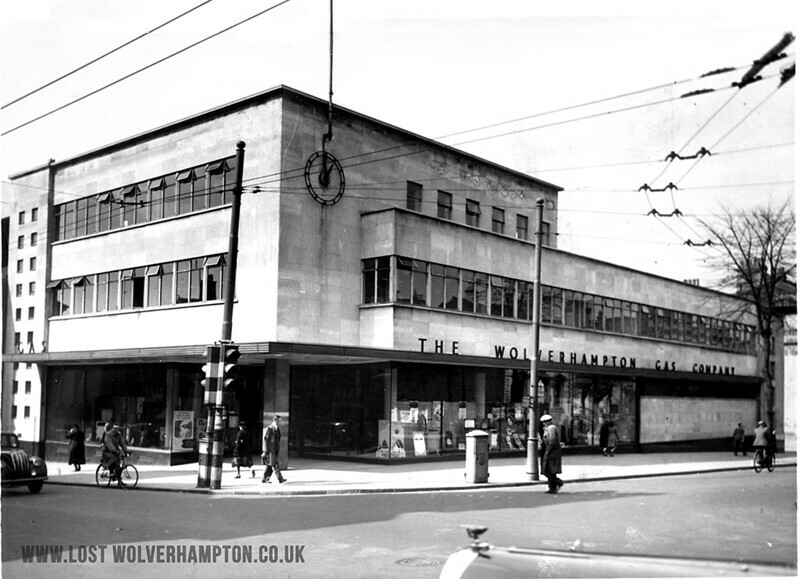 The above picture shows the erection of the iconic building in 1932.Just another of the wonderful Wolverhampton buildings that went under the hammer in the name of progress. Hi billy,would you have any pictures of the old deanery row before it was demolished,my mother lived there briefly as a very small child. Deanery Row and similar streets around St Peter’s didn’t offer much interest to the photographic media much in the early days, being just a simple row of Eighteenth century terraced houses. Fortunately we have Jim Dowdall of the Wolverhampton Photo Graphic Society to thank for at least a couple. 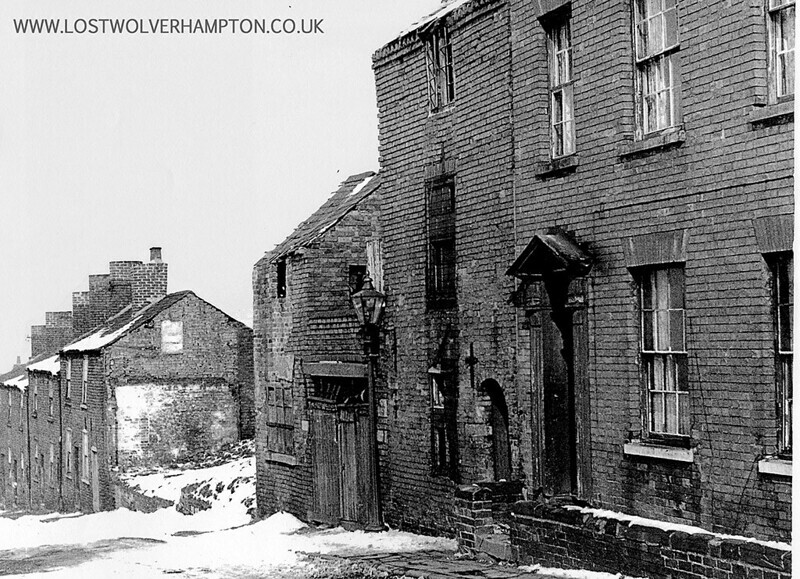 He was asked by the Corporation when at the time the houses around Charles Street was being demolished in the mid 1950’s., if he would like to go and take photographs of the area which I am pleased to say;he did . And of course we have to thank David Clare and others for having the foresite to record the still on going changing times around the old Deanery from the last half a century. I will be doing a post of this on the Howl at some point so keep looking. In the mean time I will post the two pictures of Jim’s from the time before the clearance, on the forum. Shows a snowy view of Deanery Row running up towards Charles Street from the Londes with the railings on the bottom right at the rear of the gardens of The Feathers public house. The same row looking the opposite way,down from Charles Street, The larger building was once an old licenced house known as “The Talbot” and was adjacent to a Banks’s pub, “The Staffordshire Knot” on the corner of Charles Street. Jenny Baines a new welcome member to the group posted this evocative picture of fine buildings in Albany Road, awaiting the hammer as the ring-road approaches.mid 1960’s. She had been under the impression the dominant building in the centre was the original Spiritualist Church and this was its former home. 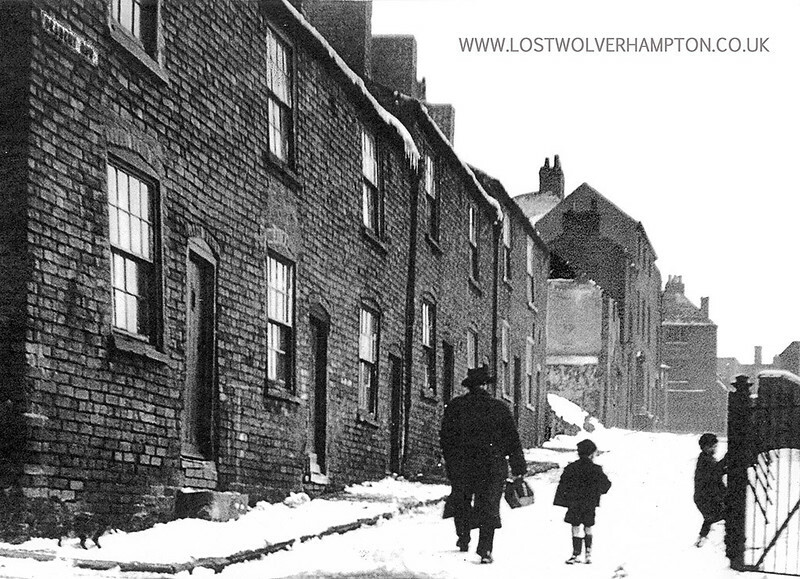 She assumed was in Drummond Street behind were the Wolverhampton Spiritualist Church stands today. in Waterloo Road opposite the Wolves, Waterloo Road Stand. I said to Jenny when I met her last week at a little talk I did for the members at the church that the photo was not taken as she thought in Drummond Street. Does this look familiar, well these are as you see. 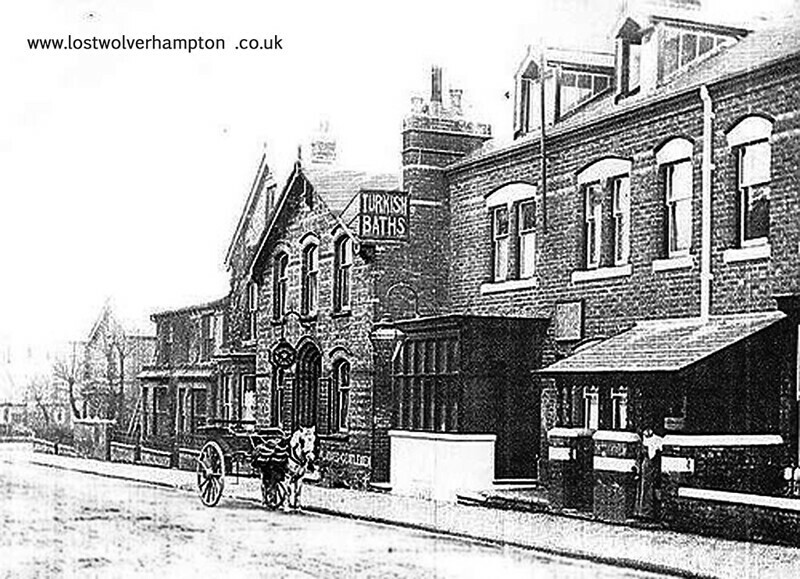 Archibald Reynolds James opened his Turkish bath in 1888, and it continued as James’s Turkish Baths until 1914 when it was owned by the Wolverhampton Turkish Baths Co Ltd. In 1901 it was open daily for ‘Ladies and Gentlemen’ from nine in the morning till ten at night. 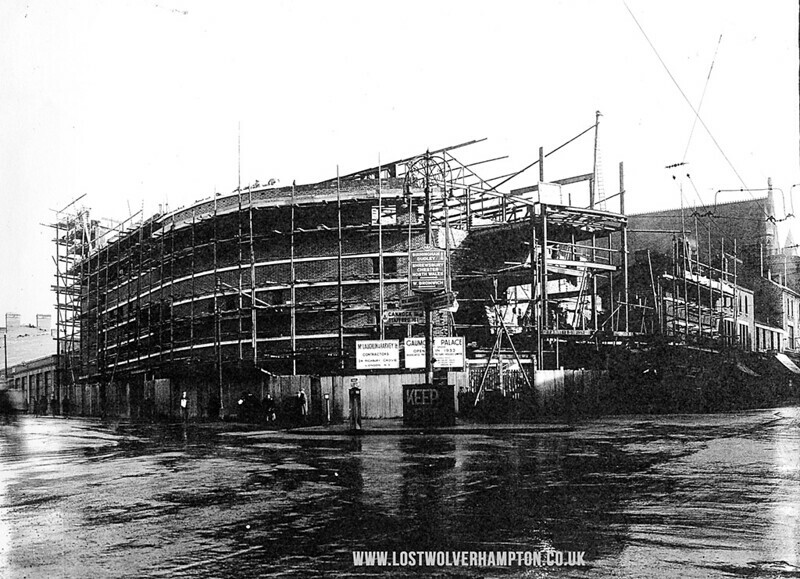 As Wolverhampton Turkish Baths it remained open until 1935. 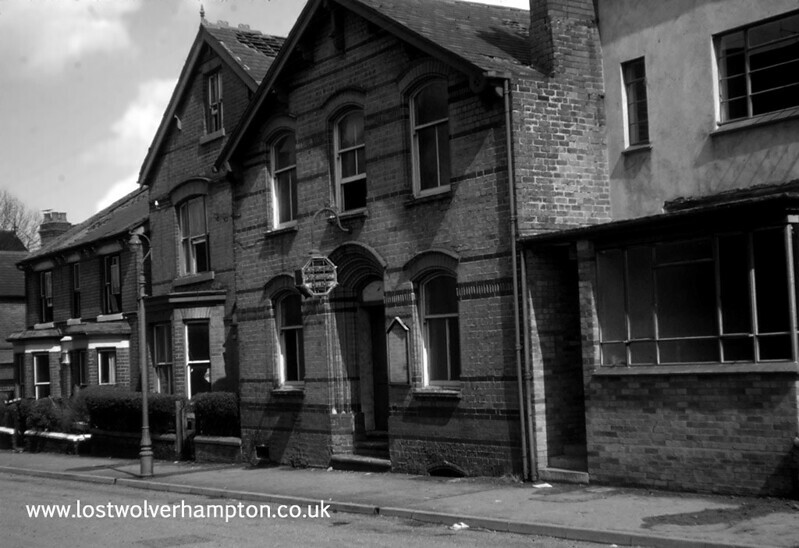 Now I know that listed in 1960 there were two spiritualist meeting houses in close proximity to one another in Wolverhampton. The National Spiritualist Church in Waterloo Road and The Wolverhampton Spiritualist Church in Albany Road . I am sure there is someone on the net that can enlighten us more on the situation.